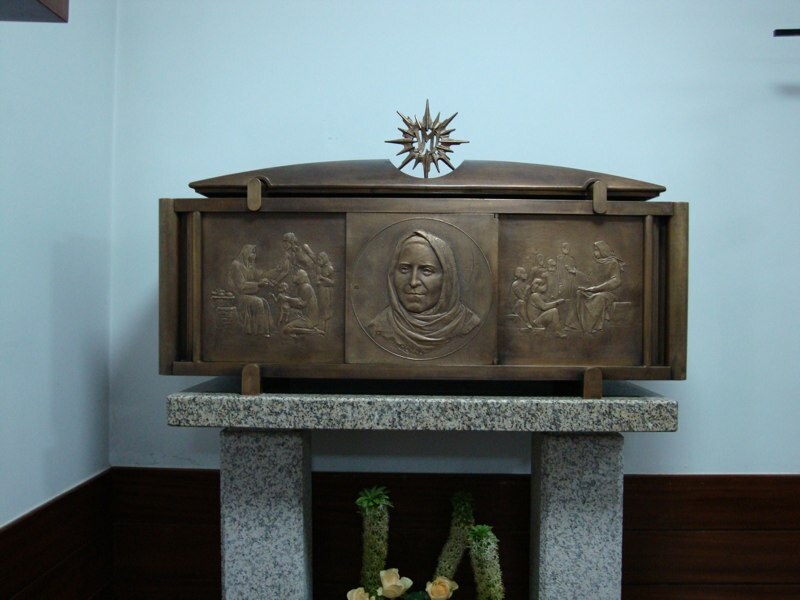 Rita Amada de Jesus was born on March 5, 1848, in a small house in the parish of Ribafeita, Diocese of Viseu, Portugal. She was baptized a few days later and given the name Rita Lopes de Almeida. She grew up in a very religious, family-centered environment, in which the family read from spiritual texts in the evening. From an early age, she showed a special devotion to the Eucharist, Our Lady, and St. Joseph. She had a particular love of the Holy Father, who was then going through difficult times, first being exiled and then losing the Papal States a few years later. 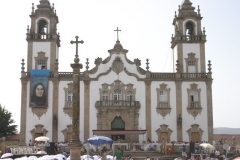 In the 1830s, Portuguese freemasons seized church possessions and tried to close all religious houses, both male and female, preventing them from admitting any novices; clearly, the situation threatened the vitality of the church in that country. Furthermore, many bishops and priests tended to neglect their pastoral duties and set a poor example, especially by constantly becoming embroiled in political intrigues. Within Rita’s family, though, starting with her parents, there was a great desire to live an authentic Christian life and be committed to apostolic work. In this strong faith environment, Rita’s vocation to be a missionary, to protect young people from the dangers of religious indifferentism and immorality, and to support the family, threatened as it was. Her zeal led her to go to the villages to pray with the people. She taught people the rosary and urged them to imitate the virtues of Virgin Mary. She took pains to be near to people leading less exemplary lives and worked as hard as she could to turn them towards the right path of Christian living. For this reason, she received death threats, and someone did in fact once try to kill her. Thus she strengthened her prayers with penance as well. 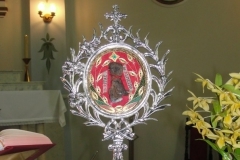 In her visits to Viseu, she began to meet and come to know the Benedictine sisters of the Convent of Jesus, and obtained from them “instruments of penance.” With the help of her confessor, she soon realized that the Lord was calling her to the consecrated life. 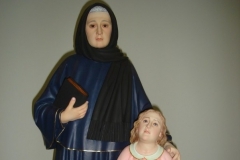 In that time, however, it was illegal to accept novices into the religious life, so Rita continued her life in the world, dedicated to her apostolate and mortification in the hope that one day she could consecrate herself totally to the Lord. Feeling already “consecrated” interiorly, she refused without hesitation any offers of marriage, even from rich men. She made communions of reparation, grew in her devotion to the Eucharist and to the Sacred Heart of Jesus, and nourished her desire to save souls as an apostle and missionary. Her parents, inspired by the same sentiments, started offering lodging in their home to women of loose morals but who wanted a change of life. At about the age of twenty, she realized that she had to consecrate herself to God in the religious life. She confided a great deal in her mother, since her father, though very religious, was also more attached to her and against the idea. In spite of all this, Rita went forward with her plans without losing heart, and at the age of twenty-nine finally entered a convent, the only congregation allowed in Portugal, being a foreign congregation and dedicated only to service. Soon, she came to the realization that the charism of the Congregation she had entered did not align with the type of apostolate to which she felt called. The spiritual director of the community, with whom Rita was open and honest, also understood what God truly wanted from her: to shelter and educate poor and abandoned children. Rita left that religious house of French origin and, in agreement with Fr. Francisco Pereira, SJ, sought ought a better way to prepare herself to fulfill the mission which awaited her. She joined a school where she could gain practical experience in dealing with the bureaucracies of civil and religious authorities. Rita, naturally gifted with ingenuity and virtue, deeply religious, always driven by a desire to fulfill the will of God, obedient to the advice of her spiritual director, and only thirty-two years when she joined the school, confronted and triumphed over all the difficulties of political and religious organization that stood in her way. On September 24, 1880, she succeeded in founding a boarding school and the Institute of the Sisters of Jesus, Mary, and Joseph with the spirit of Nazareth, in the parish Ribafeita. 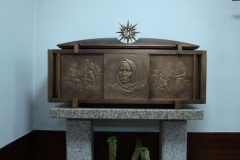 Soon, the work of her apostolate spread to other dioceses of Portugal. However, the civil authorities of Viseu, Lamego, and Guarda, tried however they could at their disposal to shut down her charity. Naturally, she had plenty of personal and economic difficulties, especially with one of her religious sisters, but the worst came in 1910 when, with the beginning of the Republic, a fierce persecution of the Church was unleashed. Religious institutes were abolished, and Rita was deprived of all the material goods in her Institute’s possession. She was forced to withdraw into the country. With God’s help, she was able to contact her other sisters, who had been dispersed, to resume life together in a humble home, and thus to save the Institute by sending sisters in groups to Brazil. 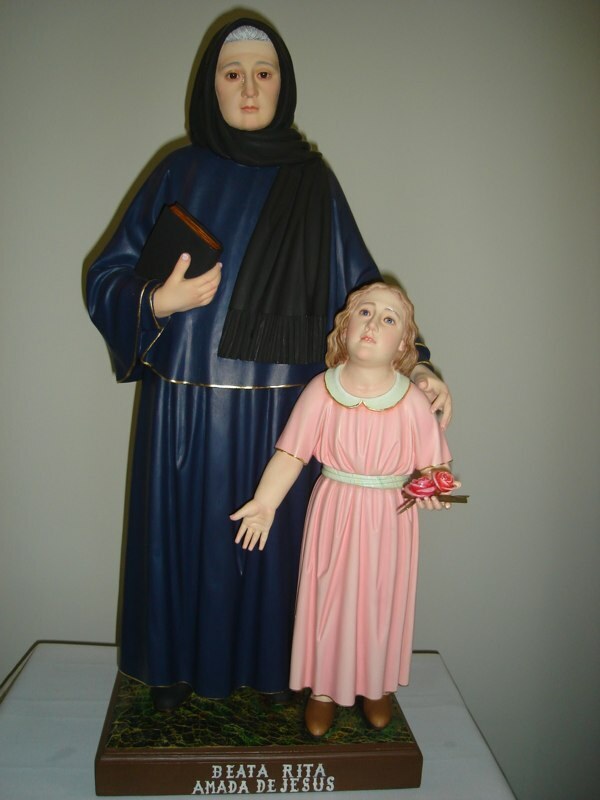 There, they continued their apostolic work with the spirit of their foundress. 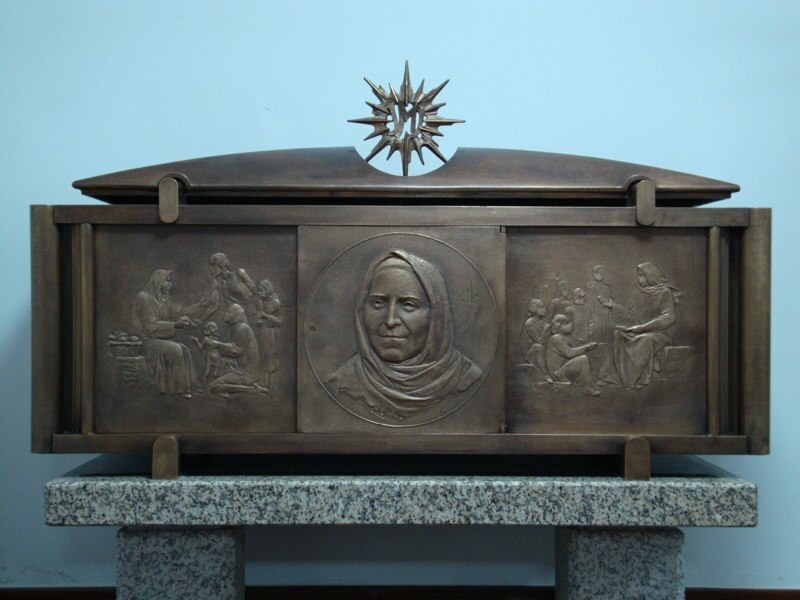 In the meantime, she passed away with a holy disposition and the comfort of the last sacraments, in Casalmedinho (the parish of Ribafeita) on January 6, 1913. 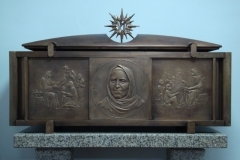 Later, her mortal remains were transferred from the cemetery of Casalmedinho to the cemetery of Viseu, and finally, in 2007, to the chapel of the religious house in the same city, kept in a decorated bronze urn, the work of the artist Alessandro Verdi di Bergamo. 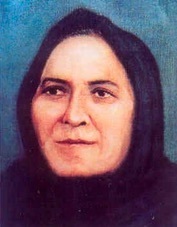 Beata Rita Amada de Jesus. 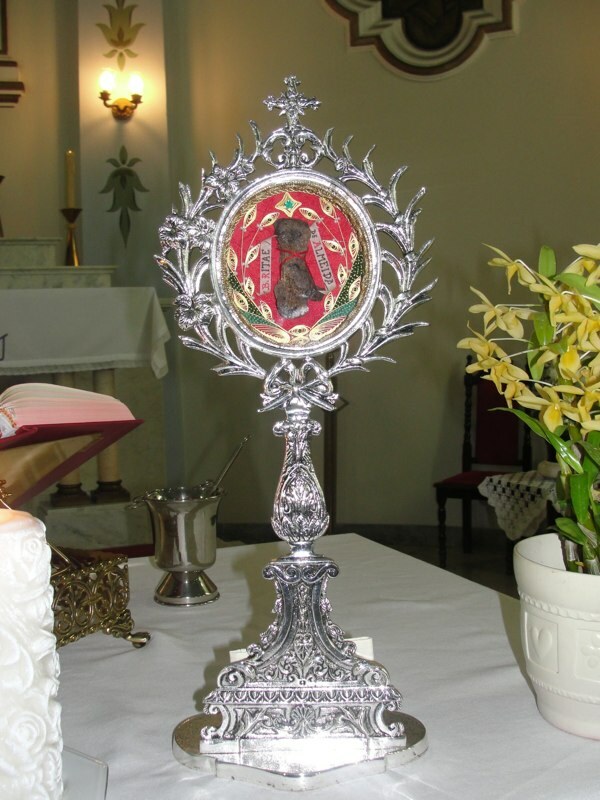 Fundadora do Istituto Jesus Maria José. Autobiography, in the care of the Institute of Jesus, Mary, and Joseph, Viseu 2006.